Northern Colorado Men's Basketball is very excited to be hosting three camps this June. Our coaching staff is dedicated to providing a safe, positive and enjoyable experience for every camper, while also focusing on teaching the proper fundamentals and techniques need to excel on the basketball court. Jeff Linder's 2019 Basketball Camps will provide you an opportunity to receive instruction from a great coaching staff while at the same time allowing campers to utilize our NCAA Division I facilities. 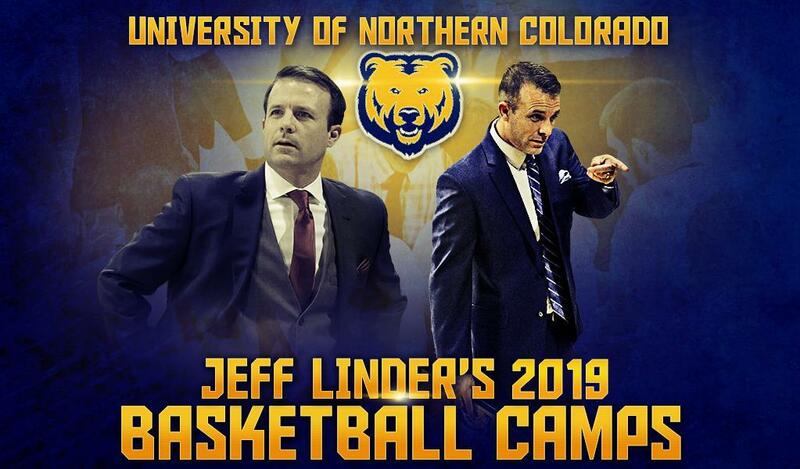 Become a Bear for a few days as our camps will allow you to experience first hand the passion and excitement of Northern Colorado Men's Basketball. All Camps are open to any and all entrants. In just three seasons Linder has resurrected the UNC program from the lows of NCAA probation to competing for Big Sky championships. His 2017-18 team won the CollegeInsiders.com Postseason Tournament, becoming the first Big Sky squad to claim a national postseason title and the first in more than 50 years in Colorado. He’s now mentored both the single-season UNC and Big Sky scoring champion (Dre Speight) and UNC’s career all-time scorer (Jordan Davis) and since 2016 has claimed the most Division 1 wins of any coach in the state of Colorado. No stranger to Colorado or the Big Sky, the former Boise State Associate Head Coach has served on Randy Rahe’s staff at Weber State and played his high school (Centaurus HS in Lafayette) and college (Mesa State, Western Colorado State) ball in the Centennial State. As a Mountaineer, Linder earned All-Rocky Mountain Conference honors, both on the court and in the classroom, three times.